“Telling us a story of a musical savant doesn’t help us all that much, Gertruida. It may be inspiring to a certain degree, but we’re still stuck with the same old problems in the country…or the world, for that matter. 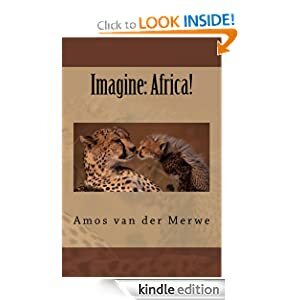 Playing a piano never fixed crooked politics, neither can disabilities be used to set the example for South Africa’s masses.” Servaas, after spending a restless night while contemplating the remarkable life of Leslie Lemke, is not in a good mood at all. Then it all changed. At the age of 43 he suffered a massive stroke, leaving him an a coma for three weeks. He shouldn’t have woken up, but he did…in a manner of speaking. While he seemed to recognise faces and voices, he was completely paralyzed, except for his eyes; they followed movement. Despair turned to hope; maybe he’d regain more function as time went by? But it didn’t. Things got worse. His right eye developed complications and had to be sewn shut. Then, with movement and observation restricted to his left eye, the terrible consequences of his stroke became apparent: he had Locked-in Syndrome. He could hear and see…but nothing else. He couldn’t respond in any way to external stimuli by speech or emotion. Only the movement of one single eye could possibly convey messages to the people around him. A plan had to be made. With all the paths of communication destroyed by the stroke, only the left eye could possibly be used to reach his thoughts. Remember, this happened in 1995, before machines like Stephen Hawking uses, were available. The nursing staff did what they could, ending up with a nurse sitting next to his bed, reciting the alphabet. Over and over and over…and over. When she got to the letter he wanted, he’d blink. The letter was then written down and the selection of the next letter began. At last…he was able to communicate his thoughts to the world out there. Then…the surprise. i-w-a-n-t-t-o-w-r-i-t-e-a-b-o-o-k. Write a book? In his condition? Surely an impossible task? “Ten years later, a film was made of the book. It won at Cannes, BAFTA, Golden Globes and was nominated for four Oscars. The story of Jean-Do inspired people long after his death. His life was maybe above average before the stroke, but afterwards it became truly remarkable. He had to lose everything – except an eye – to summit the highest point of his life. “So you see, Servaas, being disadvantaged isn’t fun. People have the right to complain and revolt against unfairness and injustice. But what has happened in the past, is no excuse for poor choices in the present. It is a sad fact that everything we do today, will impact on tomorrow. And that leaves us with but two choices: do we destruct or construct? That, my friend, is the Black and White we have to deal with – there is no middle way in that. Choices determine actions and words, which in turn result in consequences. If we are not building, then we are breaking down. And, just like yesterday, old Servaas finds himself at loss for words. This is a good thing, Gertruida thinks, because the country is being wrecked by people ‘just saying’. If only we could get to ‘just doing’ – positively – we’d become an example for the world. 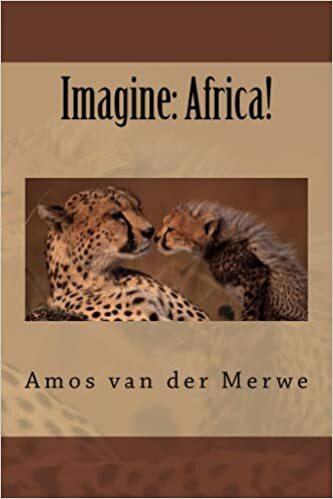 This entry was posted in History, Life, loss, politics, Uncategorized and tagged life, politics, south africa, WPLongform on February 18, 2016 by Amos van der Merwe. It started as another of those days. As usual, Servaas woke up, groaned, held his throbbing head for a few minutes, sighed, got up (very slowly, holding on to the strategically placed chair to steady himself), brushed his false teeth and slicked down the obstinate hairs of his bushy brows. Then he dressed, had a mug of coffee (to wash down the aspirin) and went outside, crossed the street and sat down wearily on the old bench on Boggel’s verandah. And as usual, he looked up to the old clock on the church steeple to check the time every now and then. Up to that point, his daily routine was unchanged and pretty much normal. Then he realised that he’d been sitting there for quite some time, but the hands of the clock still stood at a few minutes after twelve. Twelve? The clock stopped just after midnight? It couldn’t be, for goodness sakes! Judging by the sun (he had to squint because of his hangover), it should be about ten or eleven; Boggel should have been there long ago to open up the little bar. Looking up and down the street, he also noticed that Sammie hadn’t opened his shop either. And Vrede, the town’s dog, was nowhere to be seen. Now, this posed a few rather uncomfortable questions to the old man. Where were everybody? He considered that they might have all overslept, but then a strange and unwelcome thought seeped to the surface of his painful and troubled mind. If they’re not around, waiting for Boggel, they could all be…dead? Suppose the rapture occurred and he, Servaas, didn’t make the grade? Midnight…it had happened at midnight! The thought made him sit up straighter. But why, then, the static hands of the clock? Is it not so that time would cease to exist when the world ends? No clocks in eternity, no sir! Pearly gates and sidewalks of gold, yes – but no clocks or watches or any form of chronometer would be necessary in Heaven. No need. Eternity means you’re never late. But suppose – just suppose – he was late for the rapture? Or that he was forgotten? Who did one call under such circumstances? Servaas tried to think about a good reason. 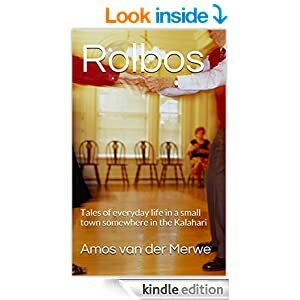 Surely the other Rolbossers understood his loneliness? Excused his intake of Cactus Jack because he needed the drink to sleep? To escape from the terrible vacuum of solitude that crept into his life after Siena passed on? And Siena…oh Lord! If he missed the rapture, Siena would be all alone up there – wherever up there might be – and she’d be profoundly ashamed that he missed the Salvation Bus. What would the other angels say if they knew her husband, a respected elder, had been left behind because of his habits? Servaas got up and walked purposefully to the church. There’s only one way to protest against the situation. He’d go to the front pew, sink down on his arthritic knees, and beg for a second chance. Maybe the Second Coming is just that – the last chance to join the others. Servaas never prays impulsively. He arranges his prayers the way they should be: first a salutation and praise; then thanks for being blessed with so much, followed by a request or two (or more, especially after another presidential speech); then more praise and a very respectful ‘Amen’. When he walked into the church, he had the words ready. He’d protest with great diplomacy – admitting that the second bottle of Cactus Jack last night was a mere little oversight, a small glitch in the way he was thinking at the time; and that Siena mustn’t think badly of him, please? Surely she’d understand that he wasn’t drinking to sin on purpose? He just took to taking a snort or two to dull the pain of solitude – and to make the politics of the day seem less important than getting to bed? Servaas was holding on to the front pew to arrange his aged frame into a kneeling position when a voice spoke to him. Servaas felt a chill run through his body. Lost…he was lost. Protest wouldn’t help, but still he was at the point of saying it was all a terrible mistake and that he’d been left behind by accident, when he looked up…into the questioning eyes of Oudoom. Oudoom looked down at the worried face f his favourite elder. What was bothering the old man? He seemed so…confused? Oudoom often remarks that the ways of the Lord are mysterious. They are indeed. Servaas stopped drinking that day. For a full hour he sat there, sipping his Sprite, while Oudoom enjoyed his lager. Then they listened to the news and the latest statement by the president. And so, life returned to normal in the little town of Rolbos. Tonight Boggel will peek at the clock on the steeple before announcing the last round. Servaas will be in a reflective mood, and tell everybody that nobody knows when the last round will be. He’ll get a few curious glances for that, but he’ll ignore it and smile at himself. 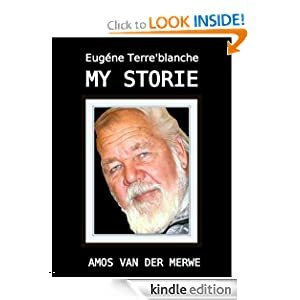 This entry was posted in daily prompt, Uncategorized and tagged daily post, daily prompt, life, short story on January 29, 2016 by Amos van der Merwe. They’ve talked about the visit ever since the telephone call a week ago. Servaas reckons it has to be a government thing, because they seem to be creating more and more agencies to regulate businesses and organisations. “It’s their way of creating jobs, see?” Servaas gets upset about the way the government insists on appointing inept and unqualified people to positions of power – officials who do not have the faintest idea of what they should be doing, anyway. Gertruida has been hard at work, too. Using the skills she had picked up in her days with National Intelligence, she created a perfect copy of a liquor licence – something Boggel has never bothered to apply for. That, of course, is a completely different story, and one that has been told a long time ago. Still, if the government wants to see that piece of paper, she’ll have it ready for them. The black BMW purrs down Voortrekker Weg (still misspelled after all these years) and comes to a stop in front of Boggel’s Place. A chauffeur in a perfectly pressed suit jumps out to open the back door for a remarkable man. Remarkable? Maybe not the right word. Astounding might be more appropriate. The huge figure emerging from the vehicle is, indeed, typical of the average government employee – built like an over-sized teapot with a soccer ball head and frog-like eyes. He, too, is dressed in a suit; but how he managed to squeeze his massive bulk into the clothes, is a mystery. Maybe one should not be so critical about Chinese material -it really stretches! “Mister Ball…?” Boggel steps forward to shake the large man’s meaty hand. “Just call me Black. All my friends do.” The lips scarcely move, but a gold tooth manages to wink at Boggel. The voice is alarmingly high-pitched, making Gertruida wonder about the man’s hormonal balance. Boggel leads the man inside, where they have to place two chairs next to each other to accommodate the large frame. “Let me get straight to the point here. You guys need protection. I can offer you this…at a very reasonable rate. You have a choice: work with me, or not. If not…well, the consequences could be rather …uncomfortable. Even painful.” Black pulls a face to emphasise the point. Now look. You don’t talk like this in Rolbos. Never. It’s not done. Especially not if Vetfaan has had to overhaul his old Landy again – for the second time already this year. This time it was the head gasket, which necessitated a vigorous scrub-down with petrol to get rid of the treacle-like oil that clung to everything. The scrub-down was for Vetfaan, of course, resulting in his cheeks being even more rosy than usual. “Well, Black, I think you have the wrong address. We’re not interested in bribing our way out of your trouble. We’ve got rifles, pistols, a few revolvers and Vrede, our dog. We need protection? My foot! You and who are going to protect us?” Vetfaan gets up to tower over the sitting giant. Black calls his chauffeur over to give him instructions. What happened next in Boggel’s Place, will remain a source of hilarity as long as Boggel is there to serve his customers. He insists on keeping the complementary sample on the shelf behind the till. Sadly, Black Ball failed to make a sale in Rolbos today. Servaas said he was to old, Gertruida pleaded menopause and Vetfaan said something about celibacy. 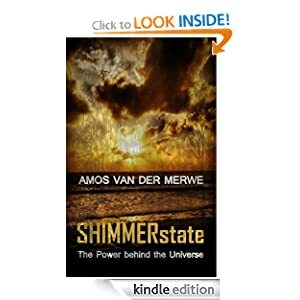 This entry was posted in Life, smalltown short stories, Uncategorized and tagged corruption, life, politics, postaday, relationships, WPLongform on January 21, 2016 by Amos van der Merwe.